Thank you for visiting Lashes and Lenses Photography. 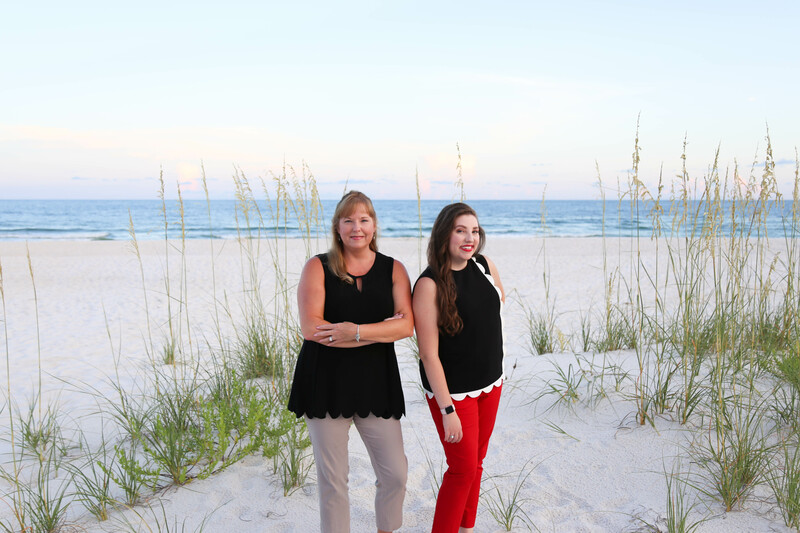 We are a Mother & Daughter team who is very thankful to call Perdido Key, Florida home. We are passionate about capturing the true beauty of our clients special moments during their sessions. Our services include families, couples, children, senior portraits, Individual photography and special events. We offer special little touches like bringing beach balls, shells, shovels and other beach items to make your photos more fun and memorable. We also offer a variety of mini sessions such as a Tea Party right on the beach, Christmas Mini Sessions with a radio flyer sled and Christmas Tree or a Fall Mini Session with Pumpkins and Lanterns. Please contact us for our special pricing. Our Photos have won many photo contests and awards. We have been featured by Southern Living, Coastal Living, Design Seeds, Stay Salty Florida, Share a Little Sunshine and Mom Hub. We are constantly staying in touch with the latest trends and most popular poses, settings and different styles of Photography.